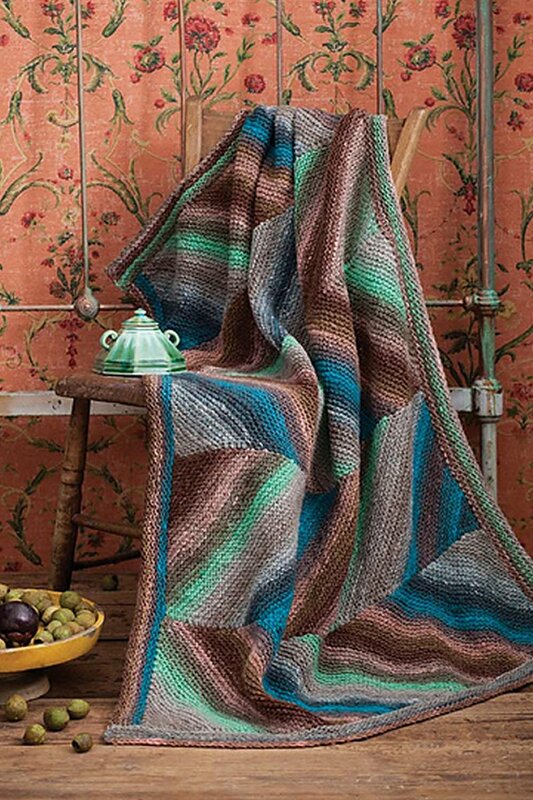 Oversized strips are knit on the bias to create a diagonal-stripe effect. The stripes are then joined to form a dramatic chevron pattern. 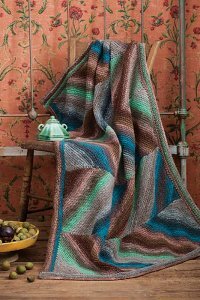 Originally featured in Noro Knitting Magazine, Spring/Summer 2017, Issue 10. Design by Grace Akhrem. One pair size US 8 (5mm) needles, size US 8 (5mm) circular needle, 40in/100cm long, 1 small hank of embroidery floss. Plymouth Yarn Home Accessory Patterns - 2650 Eyelet Cable Pillow Cover & Throw is a similar pattern: home accessory garment, for home, and heavy worsted/aran (16-18 sts/4 in) yarn gauge. You may also like Berroco Booklet 399 Brielle Patterns - Gardon - PDF DOWNLOAD, which is another similar pattern: 14 (3.5 sts. / inch) finished gauge and heavy worsted/aran (16-18 sts/4 in) yarn gauge. 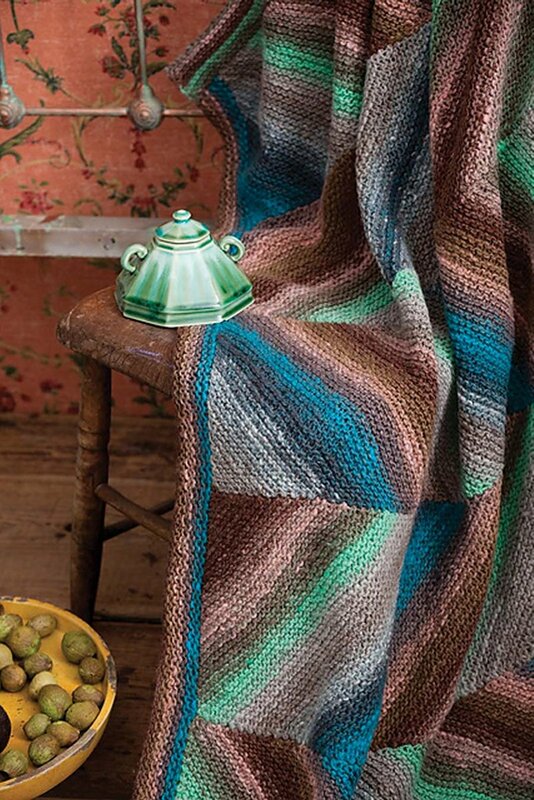 You may enjoy taking a look at the , and Noro Kureyon Chevron Throw kits all using Noro Patterns. Hopefully our suggested yarn options for 33 Heart Blanket - PDF DOWNLOAD can help you come up with your next exciting new project idea!